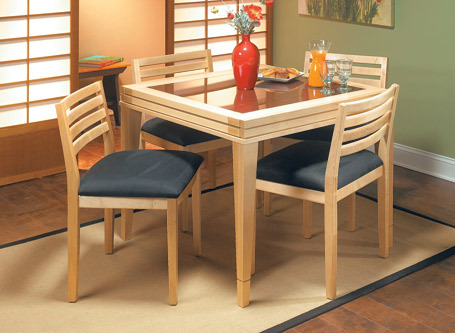 All three of these tables share the same style of knockdown base. 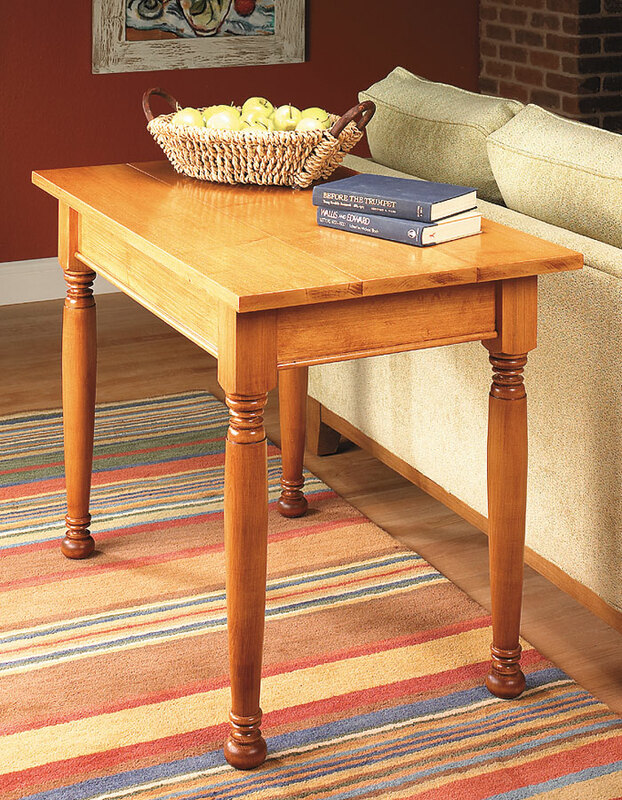 You just start with the nicely detailed, purchased legs and then you add a top to make each table unique. 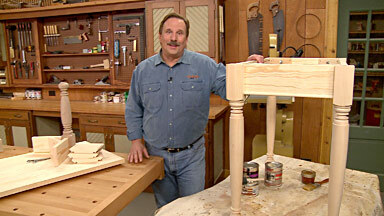 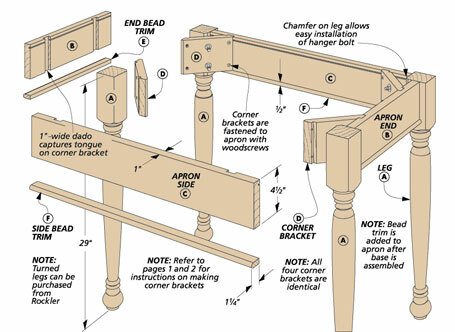 The plank and cleat top on the maple sofa table is about as easy to build as they come. 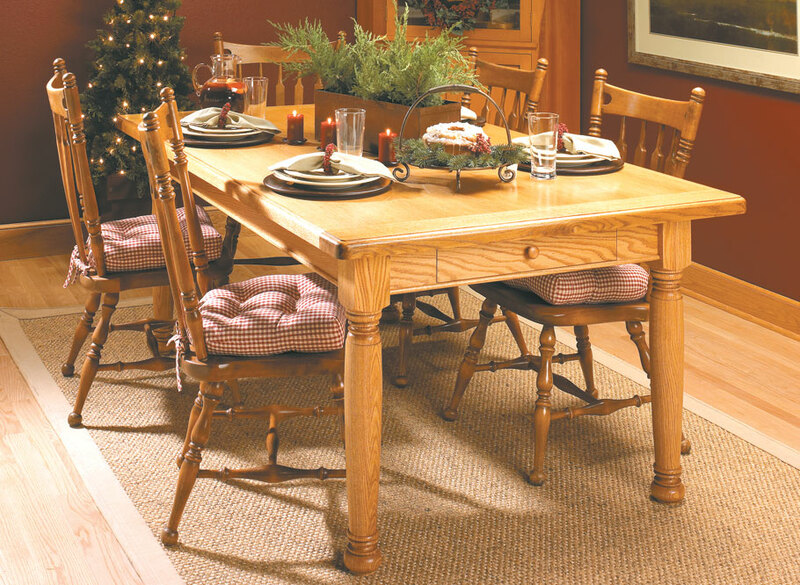 And while the thick pine top on the kitchen table is pretty standard, it looks right at home. 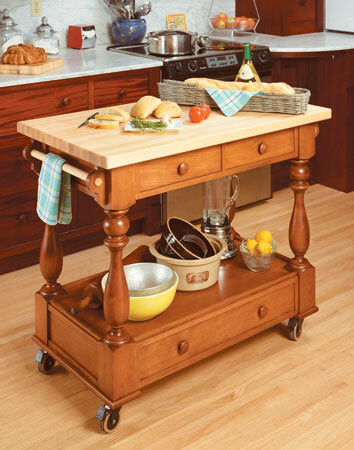 The breadboard-end top on the oak dining table gives you some different challenges and a classic look.